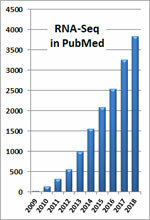 Massively parallel RNA sequencing (RNA-seq) has yielded a wealth of new insights into transcriptional regulation. 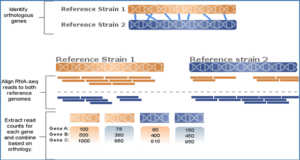 A first step in the analysis of RNA-seq data is the alignment of short sequence reads to a common reference genome or transcriptome. 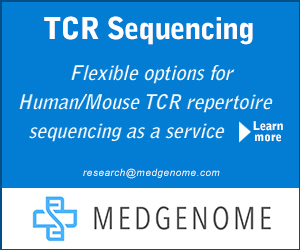 Genetic variants that distinguish individual genomes from the reference sequence can cause reads to be misaligned, resulting in biased estimates of transcript abundance. Fine-tuning of read alignment algorithms does not correct this problem. 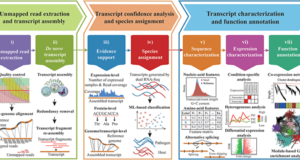 Researchers at the Jackson Laboratory have developed Seqnature software to construct individualized diploid genomes and transcriptomes for multiparent populations and have implemented a complete analysis pipeline that incorporates other existing software tools. 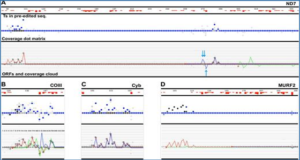 They demonstrate in simulated and real data sets that alignment to individualized transcriptomes increases read mapping accuracy, improves estimation of transcript abundance, and enables the direct estimation of allele-specific expression. 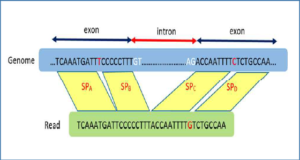 Moreover, when applied to expression QTL mapping they find that this individualized alignment strategy corrects false-positive linkage signals and unmasks hidden associations. 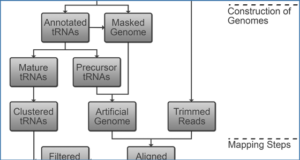 The researchers recommend the use of individualized diploid genomes over reference sequence alignment for all applications of high-throughput sequencing technology in genetically diverse populations. 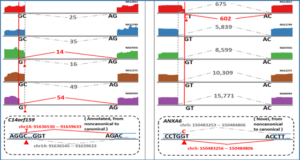 Availability – The Seqnature software for constructing individualized genomes and gene annotation files is available for download at https://github.com/jaxcs/Seqnature. Simulation data are available at http://cgd.jax.org/tools/Seqnature.shtml.